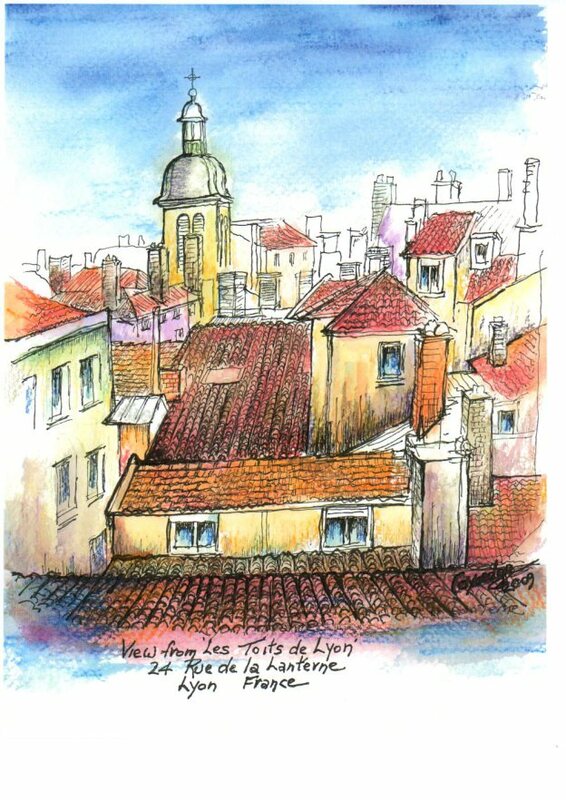 Built in the 17th century and recently renovated by a local architect, the charming studio « les Toits de Lyon » is an original rooftop house located in the city centre of Lyon. This 29 m² studio is on the 5th floor in a world heritage listed building (UNESCO). The seven windows offer a 360° view of the city and old quarters (Fourvière, Vieux-Lyon, Croix-Rousse, Terreaux …). It’s a stone‘s throw away from the city centre, chic boutiques, restaurants, museums, theatres … and main monuments. Whether you are visiting Lyon for business or for pleasure, you will really feel at home.